While launching several projects in Uttar Pradesh, Union Railway Minister Piyush Goyal announced that the Railway with providing the better facilities to its passengers is also offering jobs opportunities to the youth of the country at a large scale. “We have almost completed the procedure of filling 90,000 vacancies in Group C and D and now we will soon going to offer 9500 posts in Railway Protection Force (RPF) out of which 50 percent vacancies would be reserved for women,” Goyal said. 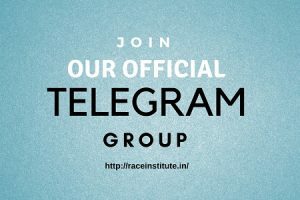 Follow RACE Institute on Twitter...!! Since the official announcement is to be displayed on the Railway websites, there is an unofficial notification circulated in various blogs, which is given below.